The Conservation Awards hosted by the Costume Society were made possible by three generous benefactors. Here, Janet Wood tells their stories. 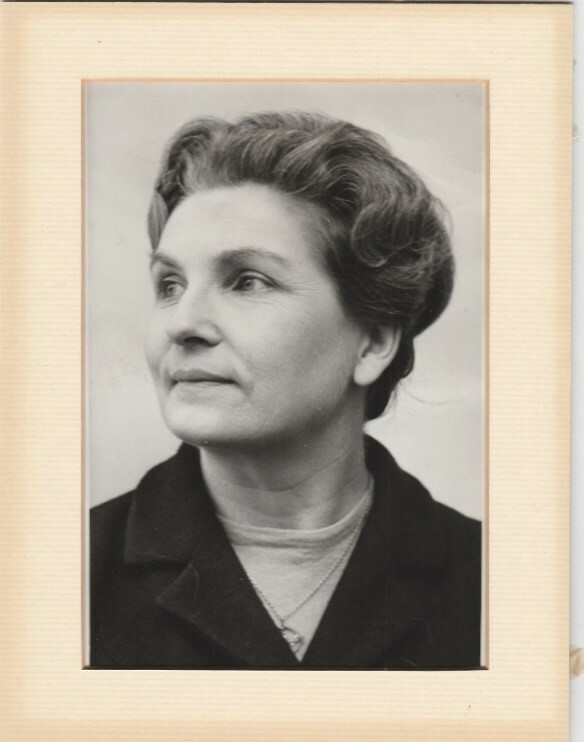 Mrs. Daphne Bullard (1916-1970), left Worthing Museum where she had curated and published the costume collection to become Deputy Keeper of the Worcestershire County Museum Service at Hartlebury Castle. With Kenneth Barton as Keeper and initially no other staff, they established the Museum in one half of the Bishop of Worcester’s Palace. They assembled a wide variety of artefacts aimed at preserving the history, crafts, industries and culture of the County. Her particular interest was in dress and textiles and she was able to catalogue in a short time an excellent collection of items based upon the local dress collection of Mr. and Mrs. Parker of Tickenhill, Bewdley which had been donated to the Museum. In 1967 she became the Keeper of the Museum and despite her increased administrative work load she continued to build up the dress collection and create several displays of it. She established the Friends of the Museum and with their help generated a wider audience for the Museum by holding soirees and other evening events. A fondly remembered event in 1969 was the ‘Early Victorian Symposium’. She was a Costume Society Committee member (1968-1970) and wrote an account of the Museum’s collection for the Society’s journal Costume, vol. 1 (1967). Her establishment of the Museum and its dress collection was a major undertaking which she achieved in a short time and showed great promise for the future. Her death as a result of a road accident in 1970 was a great shock to all who knew this kind and generous person who was always willing to give of her time and knowledge. The family established the Daphne Bullard Trust in 1972 to continue her work in assisting museums with dress and textile collections. There is an obituary in Costume 4 (1970) pp. 1-2 which provides extra background information. Kathy Callow (nee Beeham – 1949-1989) was an active and long-standing member (latterly a Fellow) of the Museums Association. After qualifying in conservation at Leicester University she devoted her working life to the many causes of small, local museums, starting in Enfield then Godalming, and finishing as Curator of the Priests’ House Museum in Wimborne. 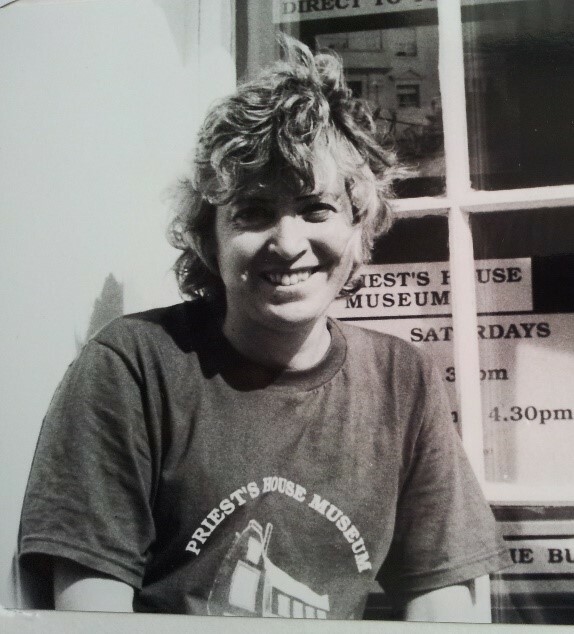 In between, in 1975 she set up Gosport Museum and in 1989 the Museum of the History of Water Supply in the Pumping Station at Sutton Poyntz above Weymouth. Unusually practically resourceful, able to restore the early fibre-glass yacht Nohoh, and to install central heating virtually single-handedly, she was blessed with an insatiable curiosity. She also lived bravely with cancer for 6 years without this being known to most of those around her. The Kathy Callow award for social history conservation in small museums was established in 1994, focusing on the disadvantaged in society, the history of dress, women, industrialisation, small localities and the sea. In 2015 it was incorporated into the Daphne Bullard, Kathy Callow and Elizabeth Hammond Association. 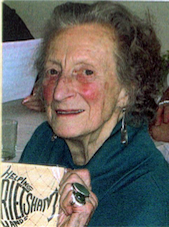 Elizabeth Hammond (1926-2011) was a founder member of The Costume Society and a former trustee. Born in Southern Rhodesia she returned with her family to Kent where she attended the Maidstone High School for Girls. Her education was interrupted by the war but she later attended Maidstone School of Art moving on to the Royal College of Art and graduating in 1949. She taught art in a wide range of schools and colleges including the Arts Educational School in Tring, and the Rochester campus of the Kent Institute of Art and Design, where her students included Zandra Rhodes and Tracey Emin. As well as an artist, she was also an illustrator and a talented embroiderer. She was a member of the Embroiderers Guild, the Rochester Cathedral embroiderers and the National Association of Fine and Decorative Arts Societies (NADFAS) She was also a collector of dress and textiles from the 17th to 20th centuries. Important pieces in her collection were conserved and loaned for public display. In 1983 she was invited to join the Kent Costume Trust (KTC) as a committee member and eventually her textile collection was bequeathed to the KTC. Her most generous legacy to the Costume Society enabled the founding of the new Conservation Award. Her life was celebrated in Costume 47:2 (2015) in an obituary by Chris Godfrey, and an article about her work and collections by Judith Doré in Costume.